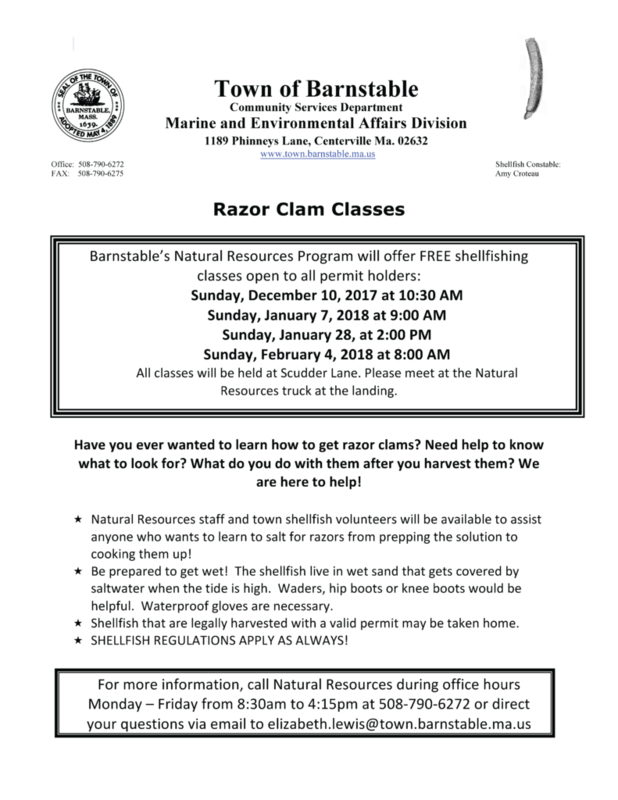 The Town of Barnstable Natural Resources Program will offer Four FREE Shellfishing Classes that are Open to All Permit Holders. All classes will be held at Scudder’s Lane. Please meet at the Natural Resources truck at the landing. 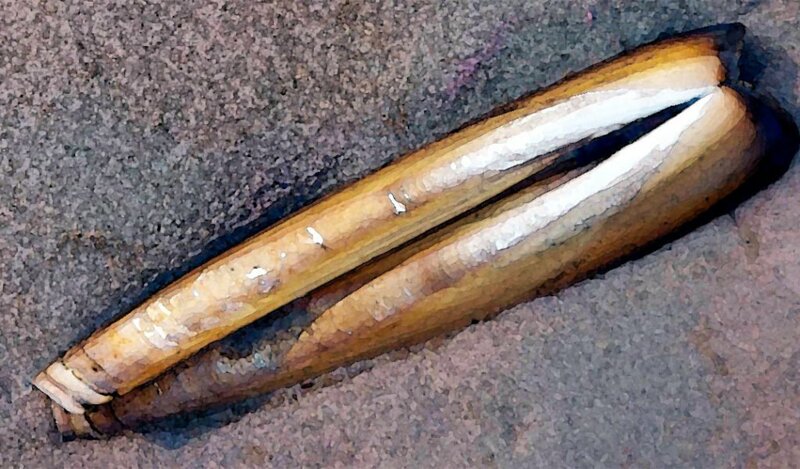 Have you ever wanted to learn how to get razor clams? Need help to know what to look for? What do you do with them after you harvest them? We are here to help! Natural Resources staff and town shellfish volunteers will be available to assist anyone who wants to learn to salt for razors from prepping the solution to cooking them up! Be prepared to get wet! The shellfish live in wet sand that gets covered by saltwater when the tide is high. Waders, hip boots or knee boots would be helpful. Waterproof gloves are necessary. Click here or on flier image for full size printable flier.